Years of squinting, concentrating, or frowning can cause your skin to furrow and crease. As your skin becomes less elastic, those moderate to severe frown lines remain – even when your muscles are not contracting. At Allure Aesthetics in Great Falls, MT, you can effectively diminish the appearance of these unsightly or unwanted facial lines with Botox, revealing a smoother and rejuvenated complexion. Facial lines often occur as we age due to repeated facial expressions, such as frowning or laughing. During these facial expressions, the muscles within our skin contract, moving the overlying skin along with it. However, muscle contraction may also occur involuntary, making the formation of facial lines and wrinkles almost unavoidable. Botox provides a solution! As an FDA-approved prescription medicine, Botox is injected into the targeted facial muscles and used to improve the look of moderate to severe facial lines. The results are long-lasting, revealing a smoother complexion and a more youthful appearance for months to come. In addition to cosmetic corrections, Botox is FDA approved for the treatment of severe underarm sweating. Just one treatment provides relief for up to 6 months. If clinical strength antiperspirants have failed, you may be a great candidate for treatment with Botox. What is a Botox treatment like in Great Falls? A Botox procedure is performed in office, typically ranging from 10-20 minutes. During the procedure, Botox will be administered through a few tiny injections in the targeted area. The procedure causes little to no discomfort, however a topical anesthetic cream may be applied upon request. There is no downtime associated with a Botox procedure, allowing the individual to return to their daily activities immediately after treatment. Results revealing a decrease in facial lines and a smoother complexion will become noticeable within days of the treatment, however maximum results may become visible at 30 days post-treatment. In addition, the results are long lasting, ranging up to four months of noticeable improvements. Maintenance treatments, in the form of follow-ups, are recommended in order to maintain optimum results. Although considered a safe procedure, common side effects may appear at the site of the injection post-treatment. These side effects are generally mild in natural and diminish naturally within a few hours. Such side effects may include mild redness, tenderness and swelling. We advise for our patients to avoid strenuous activities, such as exercise, for 48 hours post-treatment. Botox is not recommended for individuals who present with a skin infection in the area to be treated, are allergic to the ingredients within Botox, have had facial surgery, experience difficulty swallowing or weakness in the forehead muscles. In addition, it is recommended for women who are pregnant or breastfeeding to postpone treatment. What are the benefits to Botox? 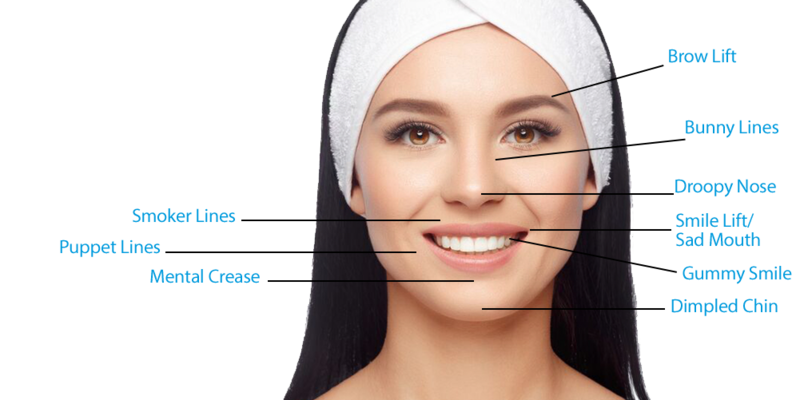 If you wish to learn more about Botox, call or stop by Allure Aesthetics in Great Falls, MT. As an FDA approved prescription medicine, Botox is safe and effective in treating facial fine lines and wrinkles, such as crow’s feet and worry lines. In addition, this injectable can slim the jaw, provide headache relief and treat excessive sweating. The benefits provided by Botox make it ideal for anyone wishing to treat certain skin concerns without undergoing surgery or receiving its associated downtime. Book your consultation today! Our team is excited to have you.